Plump, pale green glaucus leaves on tall upright stems. Bright yellow flowers are fairly large for the Sedum genus. 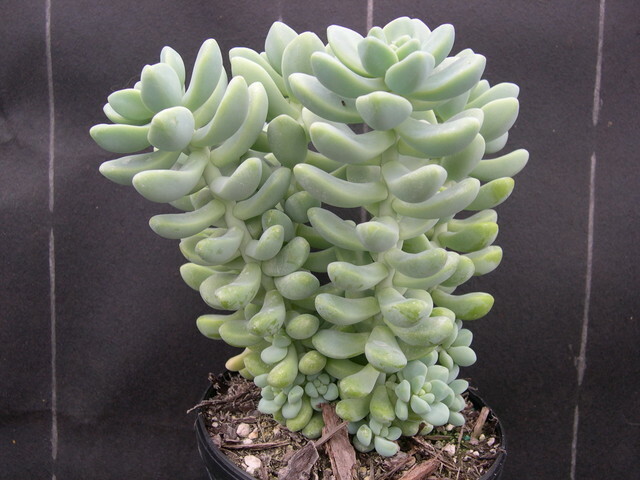 Very popular as a bowl garden specimen or as a windowsill plant. This is a relatively hardy Mexican species. Protect from cold, wet winters. Evergreen.